Social justice organizers in Portland will hold a series of events this weekend to mark the one-year anniversary of the killing of Michael Brown including discussions, activist training sessions, and a community art project. The events begin with series of discussions based on the Oregon Black Political Convention platform and featuring activists, advocates, and community members. The discussions will be moderated by local activists Mic Crenshaw, Teressa Raiford, and Devin Williams. The weekend will culminate with a family-friendly Day of Remembrance event featuring live performances by local musicians, a community art project, and activist training sessions. The discussion topics offer a chance to reflect the work of local activists over the last year as well as to look at what is ahead in the movement. Organizers are also hoping to motivate a new set of change agents, young Black Portlanders. Community Discussions (on Twitter under the hashtag #UnitedWeFight) will take place from 3:30 p.m. to 8 p.m. Friday, August 7 and from 1 p.m. to 5 p.m. Saturday, August 8 at the First Unitarian Church of Portland, 1034 SW 13th Ave.
Sunday there will be a Mike Brown Day of Remembrance, including community art and activist trainings, from 12:30 p.m. to 5 p.m. at Jade/APANO Multicultural Space, 8114 SE Division. Local residents may see their ideas for images and words cut into metal and projected in colored shadows on the wall of the Shute Park Library in Hillsboro. Next year, the city’s newest public artwork will create a dramatic gateway to downtown, showcased in front of the wall of the library on SE Tenth Avenue (TV Highway). Artist Blessing Hancock of Tucson, Arizona, was selected from 170 nationwide applicants to create a sculpture for the city. She will be a special guest at two events to show her design in progress and gather images and text from the public to be included in the final artwork. Hancock will be featured at the Arts Village on the Courthouse lawn at Celebrate Hillsboro, Saturday, August 8 from 9 am – 4 pm. She will also be in Shute Park near the library on Sunday, August 9, from 1 – 3 pm. Both events are free, open to all ages and will include family entertainment. Washington County Disability, Aging and Veteran Services (DAVS) is moving from their current location in downtown Hillsboro to 5240 NE Elam Young Parkway, Suite 300, in Hillsboro. DAVS expects to be operational at the new location on Monday, August 17. In order to pack and move, DAVS will be closed with limited phone service on August 13-14. DAVS programs and services help maintain and enhance the quality of life for Washington County seniors, veterans and people with physical disabilities. They provide support for family caregivers, assist with Medicare, connect people with key benefits, and help isolated seniors navigate and access services. For more information, call 503-846-3060. Habitat will be accepting applications during its Open Application Round, which will run from September 21, 2015 until October 16, 2015. Habitat for Humanity Portland/Metro East is looking for families that have a good credit history, a steady income, currently have a housing need, and earn 35 percent to 60 percent of the median household income in the Portland area (a family of four must earn between $25,865 and $44,340 per year). Habitat for Humanity Portland/Metro East is a local affiliate of Habitat for Humanity International, partnering with the Portland community to build decent, affordable housing. Volunteers and future homeowners provide much of the labor, with individual and corporate donors providing money and materials. Those approved for the Homeownership Program purchase a house with a 0%-interest (0% APR) mortgage; no down payment is required. Mortgage payments go into a revolving fund that is used to build more houses in the Portland area. The City of Portland is taking action on displacement in North and Northeast Portland by making new investments in affordable housing. As part of this initiative, the Portland Hosing Bureau has created a policy that will give preference to residents who have been displaced from N/NE Portland, or who are at risk of being displaced. Through this policy, people who have deep roots in the N/NE Portland community will get priority access to new affordable rental housing planned for the area, as well as down payment assistance programs to help current and former residents purchase their first home. The Housing Bureau is looking for volunteers to help test the policy to ensure that it is effective and easy to use. Volunteers will be asked to attend a one-hour informational meeting and then try to obtain the documents required by the policy to show proof of historic residency. At the end of the testing period, volunteers will participate in a telephone survey to help bureau staff learn about any barriers or challenges they encountered in the process. For taking part in the study, participants will receive a $15 gift card at the end of the first meeting, and a $25 gift card after the telephone survey is completed. If you are interested, please contact Matt Tschabold by August 21 at [email protected], or by calling (503) 823-3607. Develop community leadership and skills. Strengthen relationships and create new partnerships. CNN gives higher consideration to efforts that actively involve under-served groups. For more information about the Central Northeast Neighbors coalition, visit the organization’s Facebook page at https://www.facebook.com/CNNcoalition. The Beaverton Police Department will be offering an opportunity to safely recycle documents containing personal information from 10 a.m. to 1 p.m. at Sunset Presbyterian Church, 14986 NW Cornell Rd. The Beaverton Police Department recommends and encourages citizens to use a shredder (preferably cross-cut) for sensitive documents, such as credit card statements, financial statements, pre-approved credit card offers, old IRS tax forms, bank checks, household bills, and other documents that may contain sensitive information. Because of the popularity of this event each vehicle will only be allowed three banker-style boxes of documents to be shredded. This event is not for business documents. It is for personal documents only that contain personal information that if thrown out could lead to identity theft. Service will be on a first come, first served basis and limited to the capacity of the commercial-sized shredding trucks from Cintas. We apologize in advance for any inconvenience this may cause should the capacity be reached. Participants are encouraged to donate canned food to the Oregon Food Bank at the shredding event. Volunteers will be on site to accept these food donations. 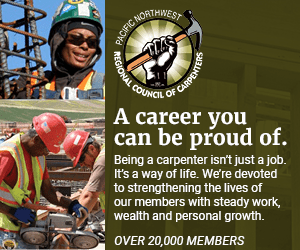 For more Portland and Seattle news and events see the Community Calendar.